Red Lobster is a casual dining restaurant focused on seafood. 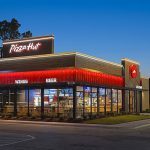 Red Lobster makes an attractive net lease investment. A major draw to Red Lobster for investors is the longer than average lease, 20 - 25 years, on an absolute NNN basis. Rental increases vary, however most leases offer a 2% annual rent bumps along with four (4), five-year options. Red Lobster, a casual-dining seafood restaurant was founded in 1968 by Bill Darden. The first store was in landlocked Lakeland, Florida. Red Lobster then was backed by General Mills, which helped the restaurant's rapidly multiply from coast to coast. In 2014, Darden Restaurants, Inc. sold Red Lobster to Golden Gate Capital. In early days, Red Lobster only served lobster, snow crab, and jumbo shrimp. 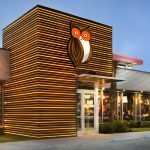 Today, they serve Cheddar Bay Biscuits, wild-caught seafood, fresh fish, and fresh Maine lobster prepared by certified grill masters on their signature wood-fire grills. As of April 1, 2019, there are over 700 Red Lobster stores throughout the US and Canada.